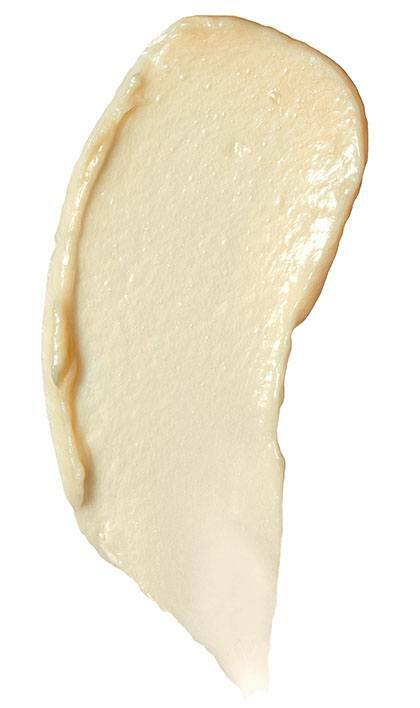 Exquisite Oil Oil Cream Conditioner is rated 3.5 out of 5 by 19. Oil infused haircare provides many benefits to all types of hair. ExquisiteOil Conditioner by Biolage provides a rich, sensorial experience with Moringa, Macadamia, Orange Peel Oils and Sage Extract. Apply to wet hair and leave in 1-3 minutes. Rinse thoroughly. We recommend that you pair the ExquisiteOil Conditioner with ExquisiteOil Shampoo for extra shine. Custom blend the conditioner with one of our ExquisiteOils and leave on for 3-5 minutes for extra conditioning and shine. Rated 1 out of 5 by Annette1959 from You can't get to the product! I'm on my second bottle of Exquisite Oil Cream Conditioner. It's a terrific product, leaving my hair soft and moisturized. However, IMO, the packing is not well engineered. The bottle is made of a rather stiff plastic that doesn't want to bend inwards when you squeeze it to get the product out. I can only manage to get out a few drops. Taking off the cap is difficult. I have to put my washcloth around the cap to give me leverage, then it comes of, exposing a larger hole. After several tries, I can get out enough product for one use from this larger hole. I've added water to the product to make it thinner, but I still have to take the cap off to access the product. Putting the cap back on is also difficult. I have put the washcloth around the cap to again give me enough leverage to push the cap until it clicks into place. This product is so thick that it needs something like a squeeze tube made with soft, pliable plastic to easily squeeze it out. When I finish this bottle I will not repurchase. Sorry, because it's a good product, but too much aggravation! Rated 5 out of 5 by robyn from Pure Gold! 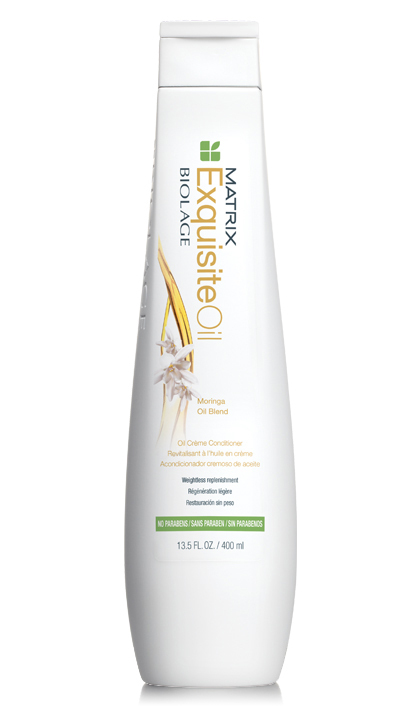 I have been using Exquisite Oil products for the last year and I LOVE them! My entire life I have been fighting the frizz and dryness that comes with curly hair. Exquisite Oil is the perfect product for me. My hair just soaks it up, leaving my curls soft, defined and beautiful. My daughter who is 12 also uses Exquisite Oil products for her curly hair. Honestly, I have never found another product that works as well. My only complaint is that I am no longer able to find the liter bottles of the shampoo and conditioner at any salon or beauty store. Are they no longer available in that size? Rated 2 out of 5 by crysta from Not great. This conditioner doesn't hold a candle to Biolage's Ultra Hydrating Conditioning Balm for my hair. I have medium-long length, very thick, dark, wavy-curly, dryish hair--after my typical air-drying, this conditioner leavesmy hair with a layer of frizz across the entire surface. I'v even tried leaving it on for 5-10 minutes for extra conditioning and the end result was no better. Also, it should come in a jar, because it's too thick to squeeze out of the 33 oz bottle unless you use two hands and squeeze it onto a flat surface then wipe if off and apply to your hair. Rated 5 out of 5 by Onlineshopperonly from AWESOME Received this as a sample. After using purchased immediately. Hair was so shiny, soft and manageable. Very impressed!!!!! Rated 5 out of 5 by Deee from Everything it claims! The scent is awesome, like oranges! Leaves hair super conditioned without any weight. My hair feels like silk after only one use! Rated 5 out of 5 by Dez from Oil Creme Conditioner I love the conditioner!!!!! it helps detangle my hair like no other conditioner ive ever had. I only need a small amount for it to spread all over my hair and it kept it soft, detangled and moisturized!!!! I use this as a co wash conditioner every month and it has worked miracles on my hair! I haven't tried the shampoo yet but I cant wait too. and plus it smells amazing!!! Rated 5 out of 5 by Mackenzie from Oil Creme Conditioner This is the only conditioner I will use anymore. I have fairly thick unmanageable hair and it is difficult to find product that will not leave my hair a rat's nest after washing. I also live in the desert and was my hair was so dried out before using this product. Now it is soft and silk, and untangled. I don't recommend this product for people with very oily hair. A friend of mine used it and was not satisfied.